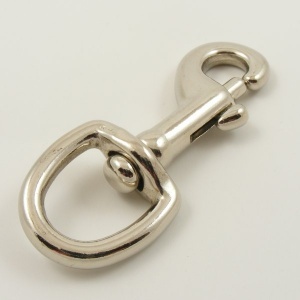 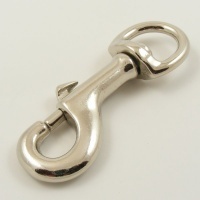 This is a good quality nickel plated steel trigger hook with swivel. 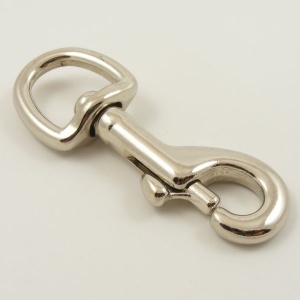 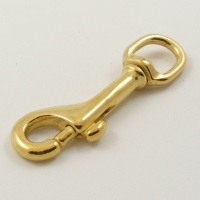 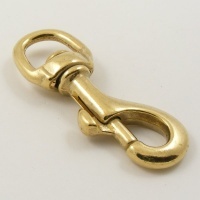 It's the ideal thing to use for a dog lead, plus numerous other uses around the home and garden. 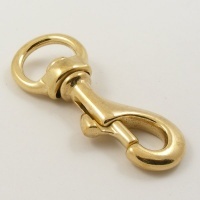 It measures 3 1/4" (80mm) from end to end and the round eye at it's base is made to fit straps of 3/4" (20mm) wide.